The gable style roof is easily identifiable and used by many homeowners. Gable roofs have a distinct triangle shape on two of the four sides of a garage, with the garage door typically being on the gable, or triangle, side. These sloping roofs allow for water, snow, and other precipitation to quickly run off of the roof, preventing excessive buildup. The hip roof is equally popular. This type of roof has a slope on all four sides of the garage which join at a singular point at the top of the structure. This is often the go-to design for homes that do not feature many architectural embellishments, and it incorporates easily into custom garages. 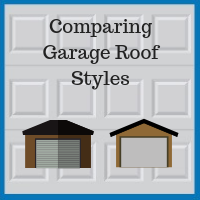 When comparing two similar sized garages, a hip roof will typically cost more to construct than a gable roof. Hip roofs require more materials to build and have a sophisticated design. However, the cost can be affected by a variety of other factors, including how the garage’s interior space is used. Since a hip roof requires more materials to construct, it is safe to say that these roofs are typically sturdier overall. Both options offer protection from rain, snow, and other precipitation, because the sloping features allow everything to slide off easily. However, gable roofs can be a little taller than hip roofs, and with fewer materials, they are less wind-resistant. Therefore, in a home that is prone to strong winds, a gable roof may need replacement sooner. However, here in the Chicago area, we are not likely to see hurricane force winds, giving our residents the option of choosing based on other factors. Although the hip and gable roofs are by far the most popular, if you have another design idea or would like something unique for your home, Blue Sky Builders can help. 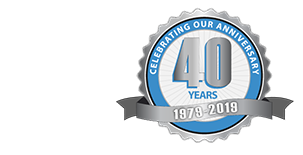 We have been working with families in the Chicago area for 39 years and will gladly help you bring your ideas to life. Contact us today at 630-852-8485. Feel free to take a peek at our gallery to see some of our previous projects to help get your creativity flowing.